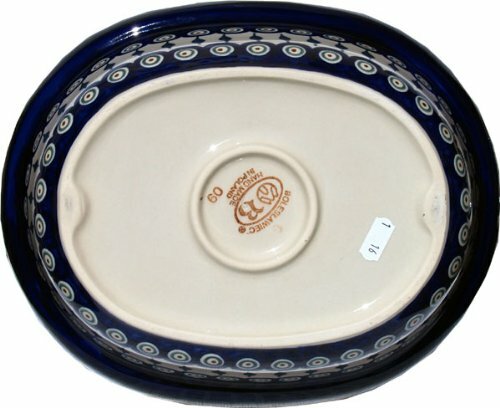 Polish Pottery Oval Casserole Dish From Zaklady Ceramiczne Boleslawiec #1158-56 Peacock Classic Pattern, Height: 7.6" Width: 10" Length: 12.5"
Product prices and availability are accurate as of 2019-04-18 13:35:49 EDT and are subject to change. Any price and availability information displayed on http://www.amazon.com/ at the time of purchase will apply to the purchase of this product. 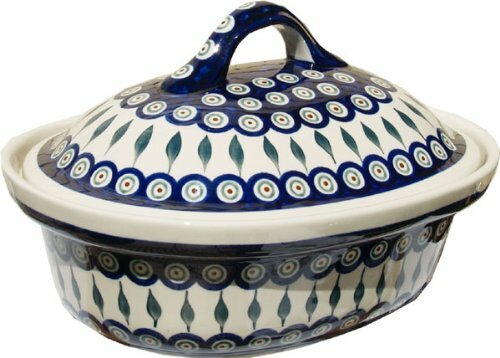 The Polish Pottery Casserole Dish with Lid is an exceptional piece of Polish Stoneware crafter`s artwork from Boleslawiec, Poland, and is ideal for baking or serving stew, roast or any other dish. Because of the high-quality clay used to make Polish Pottery from Boleslawiec, the casserole dish is safe to put in the oven, stove or microwave. The glaze which covers it makes it extraordinarily easy to wash! 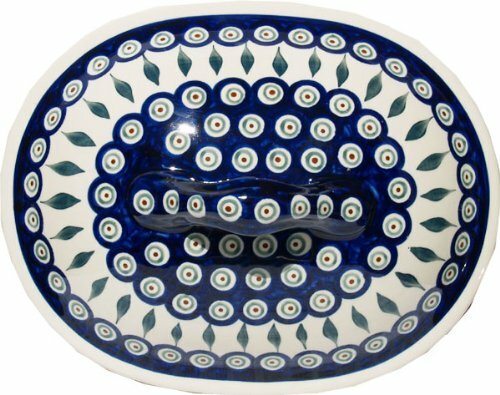 Dimensions: Heigth: 7.60" Width: 10" Length: 12.5" OVEN SAFE Each piece of Polish Stoneware is handmade and hand-painted. 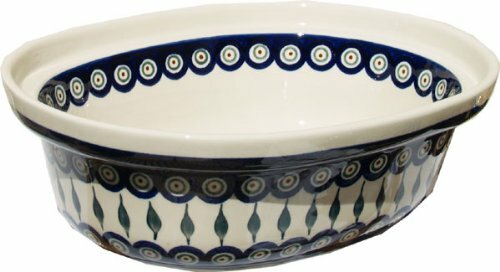 Origin: Boleslawiec, Poland Use&Care: Polish Pottery is oven- dishwasher- stove- and microwave oven safe, lead and cadmium free, resistant to chip.